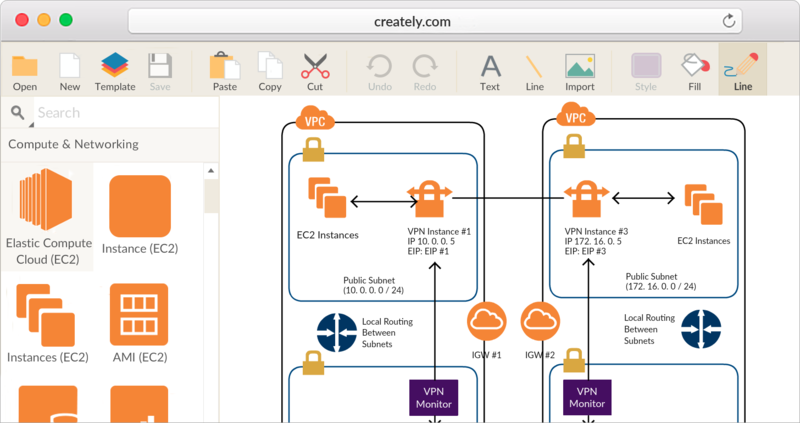 Visualize your AWS infrastructure architecture with your peers using Creately's easy-to-use tool and real-time collaboration features. 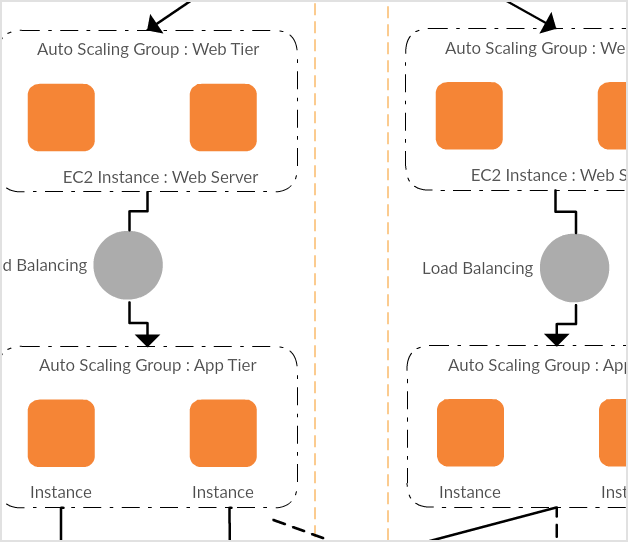 System administrators and Network designers can breathe easy now because we've made drawing architecture diagrams for Amazon Web Services simple and efficient. 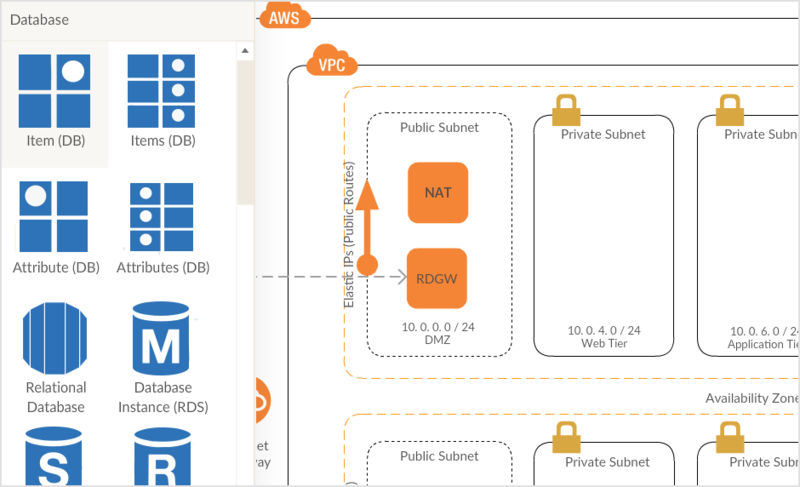 You'll get access to professionally designed AWS diagram templates (some examples above) so you can get started immediately. 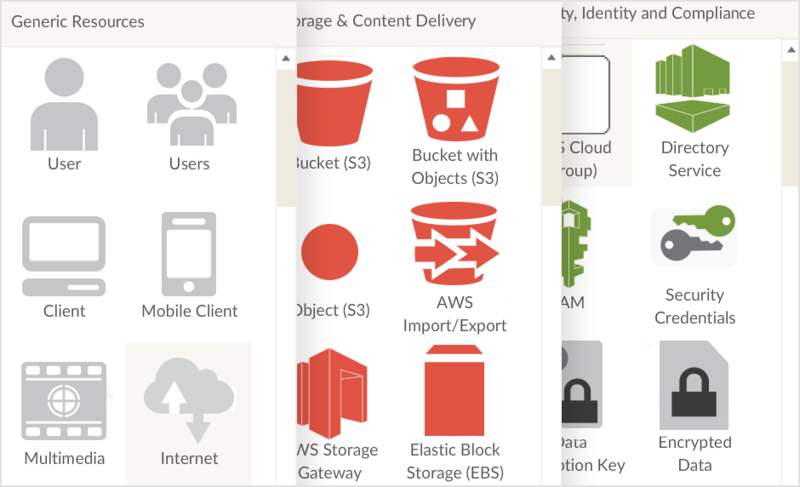 All the official AWS icons are available to you so all you have to do is drag and drop them to the canvas. We've even gone a step further and grouped them into sensible libraries. This way you don't have to go looking for one object within hundreds of others. Have any doubt about your diagram? 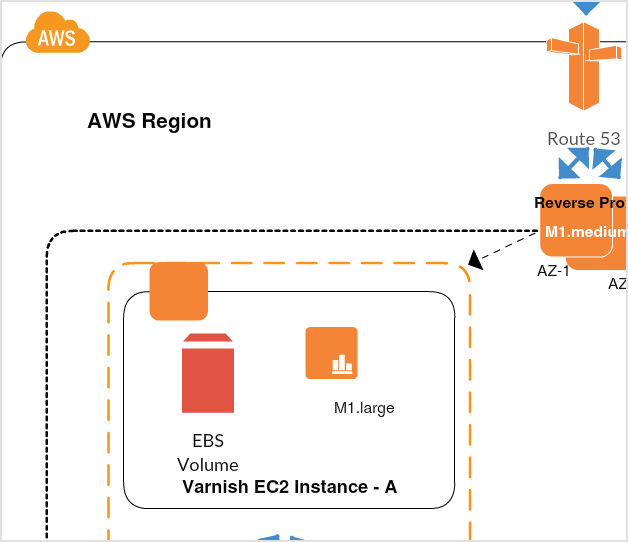 Need to go through your AWS diagram with a peer or a client? 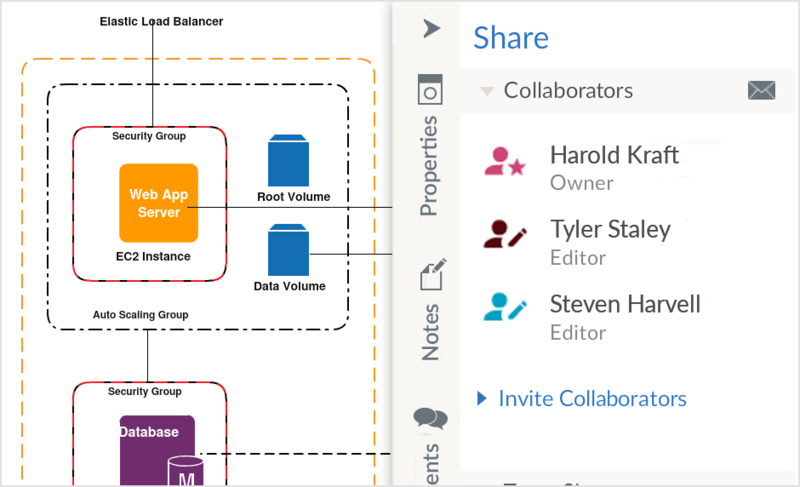 Our real-time collaboration features make it really easy to work with multiple people in different locations. You can see the changes made by others in real-time, leading to less confusion and faster decision making. 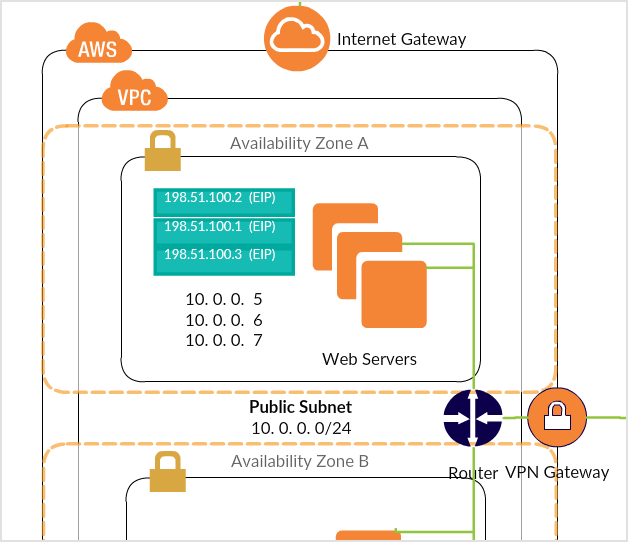 Not only AWS diagrams, we have libraries for generic server objects, CISCO objects, rack equipment and other related objects used in network diagramming. We even support many other diagram types like flowcharts, mind maps etc. 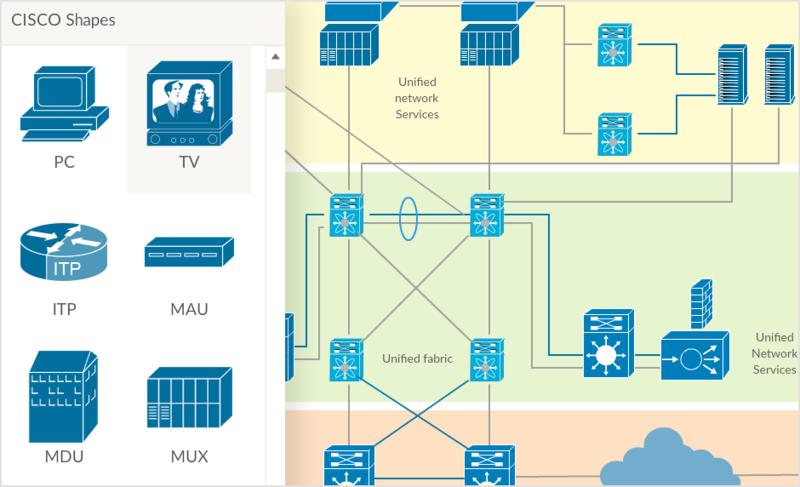 So you just need one tool to draw all these diagram types.